This package of thirteen laws is integrated and coherent, and it gives you everything you need to know about how to create. SB: Good evening everyone and welcome to An Hour with an Angel. 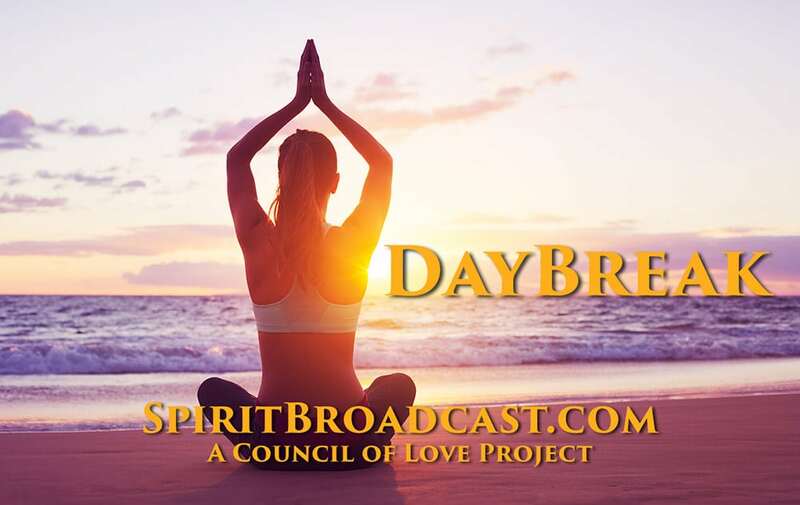 I’m Steve Beckow, editor of the Golden Age of Gaia, and with me today is Linda Dillon, channel for the Council of Love, who is in the midst of a Core Issues class. How is the class? LD: Hi everybody. The Core Issues class is going famously. We are in the home stretch and we finish up at the beginning of December. But, we’re really at the break-through point where people are in the process of surrendering and really letting go of those dark cobwebs, the monster under the bed, the depth of the abyss. It’s really remarkable. And we’re doing this not only for our sacred selves but for the collective as well. And, that’s been some heavy slogging. I think you had an experience, didn’t you Steve? SB: I did, Linda. I was reading a quotation from Ashira and it set me to looking at my own judgmentalness and anger and I found fear below that. I processed the fear and I wrote it up in the midst of the experience. And, surprisingly I emerged not at the end of a fear, like a fear of heights, but at the end of fear itself. All fear vanished. And I’m living – this is maybe the third day since then and I’m living life without fear. I feel normal. LD: And what does that normal feel like? SB: It’s removed something and so I just feel happy, peaceful, ready to initiate something rather than always responding to somebody else and being on my guard. It just left me without this constant companion of fear that I had. LD: It’s almost as if what it does and what I hear you describing is that it creates a sense of real spaciousness that those limiting brackets in our life dissolve and this new sense of freedom. This is so important because by sharing your process it’s like this is really freeing. This is part of the entrainment of how we’re freeing people up to go forward. SB: So, before we leave that is there anything that you want to say about a new class, or do you want to keep that under wraps? LD: (Laughter) I’ll go ahead and commit. As I was meditating to get ready for today’s show and chatting with Sanat Kumara, he said to me, ‘Well, you’re going to be teaching a class on Universal Laws early in the new year. Oh, my gosh, I’m gob-smacked. And, of course I’m laughing because when the Council of Love tells me something like this, I know full well that it’s going to happen and I’m going to do it. So, I guess the orders have come in and we’ll just be looking at the timing of this. So, away we go. SB: So, why don’t I let you make your transition and we’ll have Sanat Kumara come on and give us chapter one of the book. We’re going to ask today about the overview, the philosophy behind all the Universal Laws, the criteria that were used to select the thirteen laws appropriate for us to get into. I’m trying to get a feel for this as a whole rather than as thirteen discrete laws. So, with that, why don’t I welcome Sanat Kumara, our planetary Logos and keeper of the Universal Laws. SK: I welcome you, for I am Sanat Kumara, and as many of you finally, fondly refer to me as Raj, keeper of universal law, friend, ally, overlighter, overseer, companion, brother. You may call me by many names, you may assign many different tasks to me, but truly I am with you in this journey of transition. In this journey not only of ascension, your ascension, and the ascension for humanity, the ascension of this planet, but also in the anchoring of Nova Earth and nova humanity and nova being. I have many roles and many tasks throughout the universe. But this is where the focus of my attention lies right now. And, beloved friends, is this so different than the focus and the heart and the mind and the will of each one of you to bring forth the creation and co-creation in sacred partnership and unity with us? This beautiful, new, old, ancient, original planet that has not been seen or experienced in so very long? So, let us talk. Let us discuss as friends, as allies, as family what we have termed universal law. Yes, it is a body, a wisdom, that is reflective of the patterning and how creation and co-creation takes place. Now, you have tended to think of universal law as simply particular to your planet, so I preface what I say by telling you, not suggesting, but sharing with you that this is the handbook of the Mother, the Father, the One. When you have departed and many veils have fallen upon you that have since been dissolving, by the way. But you need to know, yes there is need, certainly deep desire to know how to proceed in terms of creating and co-creating, and I use those words interchangeably. So, let us just say creating. What you desire to experience and to express in this life, in any life, on this planet, on any realm, but it is a very practical tool. It is not intended to be esoteric, or decorative and sit upon a shelf, quite the contrary. It is a practical tool, a body of knowledge so that you will comprehend and utilize these tools, these laws, on how to go forward and bring forth that which you desire, which is in alignment with what the Mother desires. You have been in what you might think of as an extended process of discovering and coming really to embrace the spark of divine essence, of divine DNA, spiritual and otherwise that lies within you. Now, you think, oh yes Lord this has taken years. Now in our reference point, we will tease you a little and say in fact – in the Mother’s infinite, eternal ocean of time, this has been very brief. But, because of the construct of your experience, your planet, your realm, it has felt lengthy. But, dearest hearts, yes that is the starting point. And, you have understood that it is necessary to embrace that divinity within you before anything else comes forth. And you say, well could you not ignite it? And what I would say to you is that it has been ignited time and time and time again. It has been enhanced, re-ignited, expanded, not only by the obvious, various waves of our Mother’s tsunami, the Tsunami of One, the Porlana C and attunements that you are not even aware of. So that expansion has been taking place. And might I even suggest to you that it has been taking place very diligently and earnestly since the opening of portals that you think of as 11-11, or even further back to the Harmonic Convergence, there has been a very intense program, if you can look at it like that, or project – called project Terra Gaia, that has been happening and underway with each and every one of you. Yes, collectively but deeply personal since that time. Now, some of you were of a bit younger age have been born into this growing awareness. And, some of you who consider yourself older in age, it has been a gradual awakening. And for some of you it has simply been the turning up of the light switch. It matters not. That has been the foundation. Now in that foundation, in that embrace, in that recognition, albeit sometimes very hesitant recognition, you have also come to understand the overarching principle, the foundation. More than a law, it is a state of being and that is called free will. That is the modus operandi. Just like your lungs or your heart or your digestive tract. This is what you have come to think of as a law because your laws, and we will talk about this word. And do not worry; this may take a couple of programs, dear Steve. But, I know that you are eager to know all this and we are eager to share it. So, free will is a state of being. Now, because you have this codification, and because of, let us be frank, the downfall and the illusion and disillusion of what has come to be the false grids and paradigms of the human race, you came to think of a law of free will so that you did not impinge upon the divine authority and the divine rights of another. And that has been desirable and necessary. But, as you know, we often use these beautiful In Light programs for redefinition and that is what we do this night. So, you think of free will as a state of existence, and it is stretching your imagination. But, let us stretch it even further. The Mother does not birth and most certainly does not birth into this planetary system anything, think of this, and certainly not any human being that does not already have, as part of your existence the DNA, the spark of your Divinity – free will. Now, has this been reduced? Has this been diminished? Has this been an abomination because it has been forbidden in so many ways because of abuse of power and control? Yes. But your Divine being and your human being has free will. It is part of who you are. So, you have delegated, relegated it to a law because it has been useful because of the abuse factor shall we say. But, this is part. Because the Mother’s plan and your plan within that plan and the collective plan within that plan has been the choice, not only for the exercise of free will but the choice and decision to align – to be in that alignment with Divine mind, heart, and will. It is a beautiful design. It is a magnificent design. Similarly, many of you think of as love as a guiding rule. And, certainly, this has been repeated as a rule, as a law by many of your prophets, your masters – myself included, and Yeshua, yes to love yourself, to love your neighbor as you love Divine Source One. Because that is also an inherent part of your construct, of the construct – the design of these angels in form called humans. Whether you are hybrid that there is a law of freedom because it is inherent. It is as much a part of you as we have said as of your skin or your heart or your lungs. And, why I emphasize lungs is because your patterning as deeply explained both by myself, by the Mother and by dearest Albert Einstein, is on the breath of the Mother. So, you cannot separate this out from yourself. So, let us go back. You have arrived, and we want to keep this in current reality, current time, current experience as you go forth to create Nova Earth. So here you are, beautiful bright beings. I cannot even begin to commend each and every one of you on behalf of the Mother, the entire Council of Love and the Company of Heaven how brilliantly you are doing. You may feel at moments that you are in the doldrums, that you are in the abyss, that you are in the cave, the dark night of the soul. Let us emphasize, not simply to be cheerleaders, let us emphasize how extraordinarily well you are doing. Think of this, this planet and humanity, the collective has been cast, consciously and unconsciously, subconsciously, it matters not, cast into the darkest shadows. And you are rising, and many of you have risen like the phoenix from the ashes declaring yourselves. So, do not underestimate the magnitude of what you have already accomplished. Do not underestimate – and some of you are thinking, ‘I wish we hadn’t made that collective decision back in 2012 to ascend as one. It would have been so much easier to just go on my own or with a couple of my friends and family.’ That was a powerful, powerful act of creation born of collective free will. Born of love for billions of people that you don’t even know. This is such an example of spiritual evolved beings. Not evolving but evolved. Yes, of course, you are evolving – you are in process. But, that decision was not made by someone unaware or unevolved. And, you have continued to strive in this knowingness of your Sacred Divinity within you that is a perfect, a perfect reflection of the Mother and is an aspect of your being called free will. Our sacred Mother, Father, One has provided us throughout the multi-verse and each of you with, shall we say, this toolkit, this handbook of how to create and it is Universal Law, with the overriding understanding of your divinity, the embrace of your free will, your divine authority. You see, it has been sequential. And we have told you about universal law years and years ago. But, now you are at the point with you are chomping at the bit. And yes, I know about this but what am I really supposed to do with this? SK, how do you work with it? And I am here to teach you, to share with you, to support you and to bring you forth. This is your ability, not only to change, transmute, to get rid of all the chaos, pain, suffering upon the planet, but to bring forth, yes in creation process, that which you desire to experience an express. Now, remember our Divine Mother has said to you, has said to all of us, but particularly because it is you in form in this realm of twelve dimensions. How you know love now that you have embraced your divinity, how you know love on this planet is through the experience, both within and without and the expression within and without, above and below. This is how you come to be the love and create with love. It is not something like a cup of flower that you are adding to a recipe. You are the bowl. You are the bowl and the bowl is love and the bowl is free will. This thirteen package of laws is integrated and coherent and it gives you everything you need to know. Think of this, it gives you everything you need to know about how to create. Yes, it is in tandem with the creation process that we have taught you. But, it is giving you that mixture, that co-habitation so that you go forth. You have been given so much and there are a million and one tools. But think of it in this way. This is your guidebook, your handbook in how to even use those tools. How do you like that as a starting point, dearest Steve? SB: Oh, I think that was a very good introduction Raj. Thank you very much for that in our unfolding Chapter One here. I’d like to ask you, what criteria were used to select the thirteen laws from among the many universal laws as the ones we should focus on in this ascension? SK: These laws, and first of all any other laws, this is the basic handbook, not merely for Earth. And, you will carry this handbook and you will share this handbook with many other planetary systems. But, this is the basic handbook of what you need, not only to ascend but post ascension. And is it not delightful that we are finally talking in post-ascension terms? But it is what you require, yes require, to implement and create and bring forth what you want. You know, there is a slight hesitancy, let us put it that way, on the human being’s part who have been so controlled, programmed, limited – but you are breaking free and so there is a new question. And that is – what do you want? You see, this is part of the preface to creation. What is the dream? What do you want? And, from there this group of thirteen gives you everything you need. It is not that the Mother has kept some of the laws for herself. That is not the case at all. And, one of the things, as you progress, is this learning in conjunction with the laws and with your will is to work with sheer energy. Now, we don’t talk a lot about this because we don’t want to overwhelm. You know, we have wisdom and what you would think of as guidelines in how we encourage this partnership to go forth. But, it is a partnership. It’s not as if there are with-holds – there are not. Now, is there more? There is always more. But, this is the framework within which the universe the omni-verse operates. So, in looking at not simply where humanity is at, but where you are going. It has been time and we have given you many peeks and glimpses of what you need. It isn’t just money because you could have billion dollars and you could create, and give and bestow out of love and the knowing of your divinity. And that would be a kind gesture. But in terms of absolutely transforming the law with the law, your planet, it is a multiple factor that you can’t even begin to imagine. And that is also why right at the beginning we speak of sacred purpose and intent. These laws are not meant to be used just in singularity or isolation. As we have said to you – it is a sacred dance. Ashira has explained to you how your star brothers and sisters utilize the law. It is intended to be an ebb and flow and it changes and it is intended to be change as you progress. So, in the simplest sense, there has been an understanding of what does humanity need to take the next step? What do these lightworkers who have reached this point of embracing divinity, ascension and free will, divine authority, what do they need to be in the fullness? Not just of their willingness to be the stewards of Nova Earth, but to truly create and co-create. Think of it in this way. As we’ve said, you have a billion dollars or you have ten cents and you see that there is a beggar on the street and they are hungry and destitute. And, out of the love and generosity of your heart, without really thinking, you give them your dime or you give them your billion. It doesn’t really matter which. And, it is an act of love. You have given them your love. And that is a gift that is magnanimous beyond. But, if you take a moment and you think of this and we get into the dance, that my sacred purpose is to be a transformer, an implementer of Nova Earth. And, my intent is, as I invoke the law of sacred purpose and intent I intend that as I give this beggar a dime, or a billion, that he recognizes that it’s not for the next pill or sip of liquor, that this is a gift of awakening of his sacred purpose. That this gift of love and the implementation of the law is to awaken that person. Then they take the dime and they invest it in something nourishing to eat, perhaps an apple. Then they have the energy that day to say, “perhaps I won’t drink today. I think I might… See that chapel over there? I might go there. I don’t think I’m entitled to pray, I’ve been such a bad person. But, I think I’m just going to sit there in peace for a while.” And then it grows. And, the exponential effect of utilizing the law, of course with your free will and love, creates an implosion-explosion of fact. And that is what you are looking for. This is something that we have not really spent a great deal of time on. But what you are looking for and what so many of you are saying, “where’s the trigger, where’s the switch, where’s the aha moment where everything shifts?” What you are looking for is that explosion-implosion effect that Einstein has talked about so eloquently. So that is what happens when you consciously begin to implement your toolkit. Now I’ve touched on so many elements of the laws and creations, I know you have many questions. SB: Giving us the laws Raj, would it be correct to say, in some sense, perhaps that the Mother has given us her All. You said she hasn’t held anything back. In giving us the laws she in effect has given us the way she works. SK: That is it exactly. This is how the Mother works. This is how creation takes place. There has not been any withhold. There has not been any holding back. She is saying to you – this is how you do it, my beloved children. And you are doing it first upon Terra Gaia. But there is a full progression ahead of you and it is very exciting. And, even the progression for Terra Gaia for this beautiful Archangel in form is very exciting. We, if you think and feel beloveds that you are chomping at the bit, you have no idea how eager we are for you to fully embrace the laws. Not as some restricted codification, but how you create. It is part of your intention. It is part of your sacred being. It is the exercise of your free will. It is how you don’t recreate or keep on that treadmill of creating and keep going in the old. You are done with the old. You are fed up with the old. You have disinherited the old. So now you have said individually and particularly as your lightworker community – what’s next, we are so excited to get going. But, dearest hearts get going in a planful way, means using the laws for this implosion-explosion effect. You have just brushed the surface of the power in the truest sense of the word – the power of the laws. And we are eager for this dance to begin. SB: Raj, can I give you a concrete example to play with as an example to show us how these laws can be invoked? And, I’m hoping that in your response you’ll use the same approach that Ashira did which I found so helpful in which you went from law to law and showed how each contributed. Can we take the example of gender equality on the planet? We’re seeing some of the ways in which women have been kept down being revealed even in our mainstream media but certainly in the alternative media. How would we use universal law to manifest gender equality on the planet? SK: This is a delightful question. Yes, and even with the aberration and abomination that has taken place let us look at it. Now there are those of you that in fact feel that it is a primary role because you all have many secondary roles and projects that is your primary role to address gender and equality. But, let us even back up from that. Every being, think of this, every single human being, human being in form upon this planet has come, man and women, transgender, sexual preference doesn’t matter. You have come to break this paradigm of abuse and control. And this is just one example. But, it is an excellent example. But think of it in this way beloved ones. Steve, you mentioned that you let go of fear. And, it is not fear of heights or water or drowning etc. It is fear itself. So, gender inequality is abuse and control and abomination itself. And, so it is inherent as part of the creation of Nova Earth and the return to the Mother’s plan, that this is part of every person’s journey on the planet. So, you may say, ‘well this is not my primary task’ so you may well be right. And it is particularly true – do you not ever wonder why there are more women on your planet than men? It is because of the anchoring of the Divine Feminine at this pivotal moment. And, in many ways you, particularly you who I speak to this night as men who have come in this male body with the framework of the old that makes you think that you’re supposed to be in control, that you’re supposed to take the lead, that you’re supposed to do this, that and something else. You have a very hard road and you are breaking it. And, you are breaking it because you realize for men and women, it is the balance. So, now let us return to the subject. It is part of your sacred purpose. Some more than others. But it is an invocation of your sacred purpose, which is in alignment with your very soul design to dissolve gender inequality, to be able to anchor and reflect the Divine Mother and the Divine Father, the wisdom, the action, the ability to birth and nurture and create. So, this is part and parcel of your law of sacred purpose. But what happens if you never embrace it with an intention in small things – whether you are at the butcher, the baker, the banker or at the UN or in the Congress of the United States, that it is your intention, aligning and invoking the law of intent. That you intend to absolutely break the back of this paradigm. So, that it is not just within the grand gestures, it is part of your consciousness so that even when you think of, say – female gender mutilation, you are already holding that intention that that practice that the aberration of abuse of authority behind that practice is gone. Now, in that, you are implementing laws and the law of change but also you want it to be faster. So, you are thinking, ‘well I think I am going to throw in there the law of transmutation.’ And think of it this way and this is a little aside. When you are implementing and using these laws, you think that you are sending out your intention, your sacred purpose, the change, the transmutation etc. And you are. But, dearest heart, what you are also doing in the invocation of any law, is you are also working within. So, within your core, you are intending in alignment with your sacred purpose with the law of change and transmutation. Perhaps even elimination that you, within yourself, if there is any trace of that right to abuse, that you are eliminating it. So, as you send out, you are not sending out that fragment that is still existing within you. Then what you begin to do is to really create. So, you embrace in the law of attraction. You are repulsing any urge that would want to do harm to another to have ascendancy or false control over another. And you are attracting equality and gentleness and compassion. But you are also working with the law of unification because you have to bring everybody into the place of understanding that you are in unity. Years ago, you had great discussions about unity consciousness. Then it dropped off the map. Now it is one thing and then it is another. It is a progression so I do not say that in a critical way. But, in that discussion you were implementing the law of unification of unity within yourself, that you were an integrated whole and within the community and within the planet. So, as you work with the creation of equality upon your planet, you are really invoking and working with the universal law of unification and unity. And you are attaching implying and imploring and utilizing the law of attraction, and attaching to the vision and the actuality of fairness, of kindness, of equality. And you are detaching, you are cutting those cords completely to any system or belief system that thinks that gender inequality is in any way acceptable. And then you are implying and imploring and utilizing the law of completion and continuity. So that what you are doing you are completing in gentle, kind, non-warring, aggressive, chaotic ways. You are completing that chapter of human history. And you are continuing in the creation of Nova Earth, Nova Humanity, Nova Society. Does this even give you a flavor of what I am talking about? SB: Well, I feel impertinent saying that was well done Raj. But, that was very well done. SK: Well, thank you, dear heart. SB: (Laughter) Thank you very much for that. The next phase, it seems like, and we were hearing on the radio so many things happening. David Wilcock recently did a summary. He looked at things day by day and it was some major event every day and it seems like we’re nearing the time when we begin our work to build Nova Earth. Now we are going to be doing that by working with the universal laws. This time we are not going to create a monstrosity as we have, say, in the last century many times. So, can you talk to us please about the task of building Nova Earth through the use of the universal laws? SK: Yes, I would be happy to. It’s my job. Now, let me first of all disagree with you in a collegial way and say to you beloveds that you have been and you are creating Nova Earth and you have been stellar work. But now you are really getting down to it. And now you are saying we are truly ready and we don’t want to simply be willy-nilly about where we are putting our energies. There has to be a clarity and that is why the Mother has been filling you with clarity. There has to be a clarity and a deep focus to how we proceed so that, first of all, we don’t err in ways that have been historic. But also, that we are bringing forth what you truly desire. You know, if someone says, “I really want a sacred relationship with a tall blond” and that is how they leave it and they are male and they are heterosexual and their partner shows up and it is a six foot two blond Thor, then you have miscreated what you are desiring. So, it is important to be very clear on what you are bringing forth. So that you aren’t, for your sake and for everybody’s sake, because you are doing this for the collective. So that you are bringing forth in a timely fashion that which you desire. One of the pieces of guidance that Michael and our Mother and Gabrielle and all of us have pleaded with you, is as you begin, and there is an event today by the way – and we have said this repeatedly to you, but I digress – that you need to be in the focus of how you proceed. The events will continue to unfold. It has never been about “the” event, but rather the domino effect of so many events. So here you are, please we beg you, and this is what we are saying. We have all asked you, “Don’t hurry.” Think of the creation of the Mother and the Divine perfection of Her plan, which is infinite and eternal. Do you really think she’s hurrying along? Does she create in some things much smaller than what you think of as a nanosecond? Yes, she does. But she doesn’t do it in a hurried fashion. And so, neither do you. So, it is not about proceeding without being very clear on your focus and what that requires and what most of you have. And, when I say most of you I’m referring to this lightworker, loveholder community. Most of you have the clarity of your sacred purpose. And that is in alignment with your divinity, your soul design, your snowflake, what you have brought forth on behalf of the One. But you have need to have that as your starting point. But let us be practical as well. When you are thinking of a project, let us suggest that you are thinking, ‘well we will continue to use this example of abuse which is gender inequality.’ So, your sacred purpose of this project needs to be deeply anchored. Not only in your heart but in your mind and in your, shall we say, your management, your working group. Whether it is only yourself or twelve thousand other people. It matters not. That sense of sacred purpose, yes, of course, your individual sacred purpose, but the sacred purpose of the energy that you are putting into this project. Now, think of it and this is where I tease you by saying that you have only just begun to scratch the surface of the power of these laws. So, you say, the sacred purpose of this project is to eliminate gender inequality upon the planet and you know and we most certainly know perhaps even more than me, that this is a massive societal, institutional, religious, structural issue. And, it requires many different approaches. The approach that you would use in North America where there has been greater latitude and Somalia are very different. So, we are not suggesting to you that the scope of such a project is minor. It is not. But, let us invite you with us to even expand this. So, you are looking, you are two or three people, or you are twelve thousand people and you are looking at this gender inequality or equality project. And underneath that, inside of that, the heart of that is truly the elimination, the transmutation, the change of human behaviors, structures, institutions paradigms, that abuse no longer exists. So, you may choose, I’m afraid of water, or I am afraid of heights, but truly what you are dissolving is the fear. So truly inside a gender equality, the intention and the sacred purpose is the absolute dissolution of abuse. And you think, well how do we do this? That we are focusing on how women have been terribly suppressed, repressed, abused and yet we really want to resolve and dismiss and eliminate other forms of abuse? You can do it all at once. So, you are bringing your focus to a specific. But underlying it you are addressing the bigger problem and that is the power of the law. SB: Wow, that was a tour de force, Raj. Thank you very much for that. And we’re going to do it again. Do you want to say anything in closing about the course that you were communicating to Linda this morning? SK: I am inviting humanity and this lightworker and loveholder community to more deeply embrace your capacity to create and to use the laws. As planetary Logos, this is one of my primary undertakings to give you, not to just put the handbook on your bedside, but to truly be with you and teach you and guide you how to use the laws, how to be the law, and to bring about our Sacred Mother’s plan of love. We are so anxious, and dear hearts so are you. You are ready, we are ready, we are in sacred partnership. Let us proceed. Go with my Love. SB: Thank you so much.